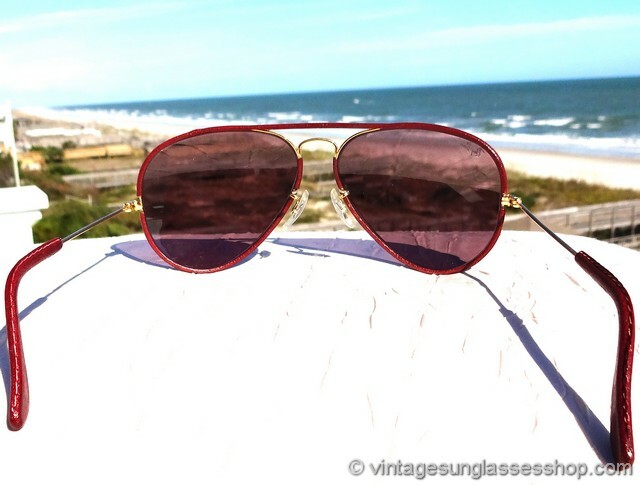 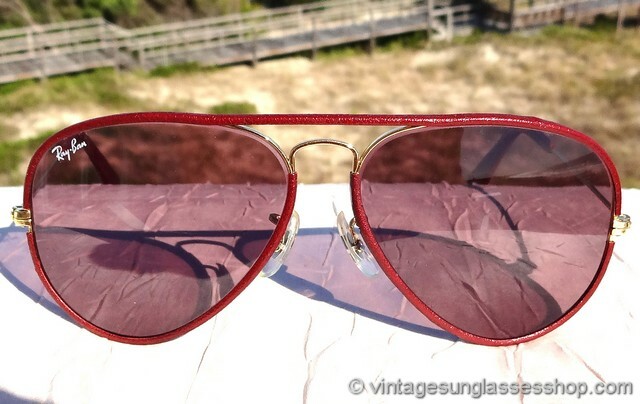 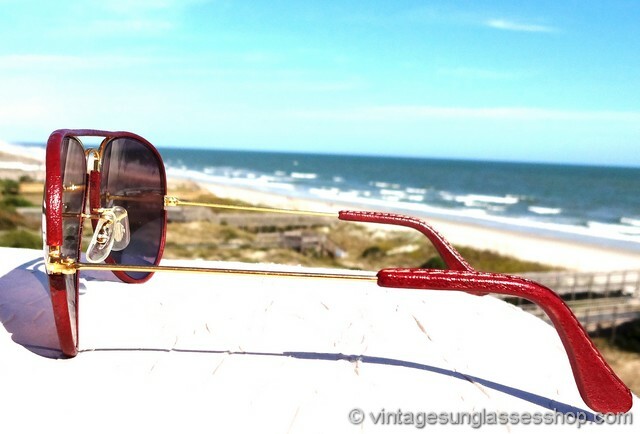 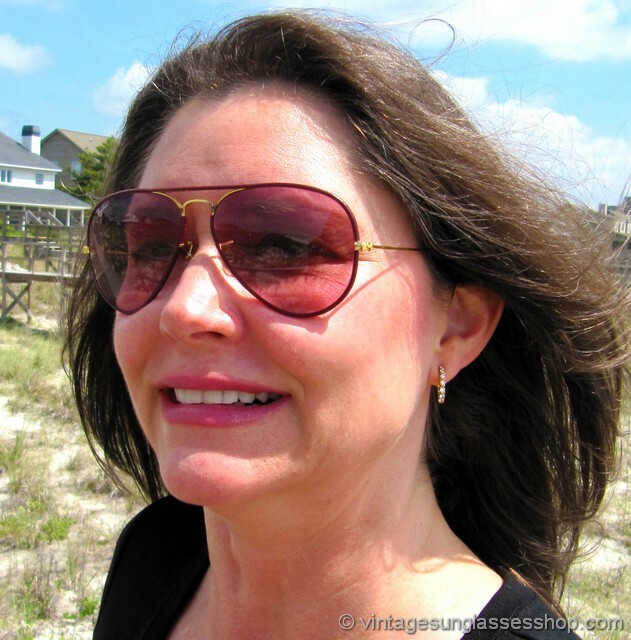 1 Very rare vintage Ray-Ban burgundy Leathers sunglasses with pink Changeables lenses have been worn by Hollywood celebrities, sports figures, and other lucky individuals who appreciate the unique and - may we say - very cool design and style. 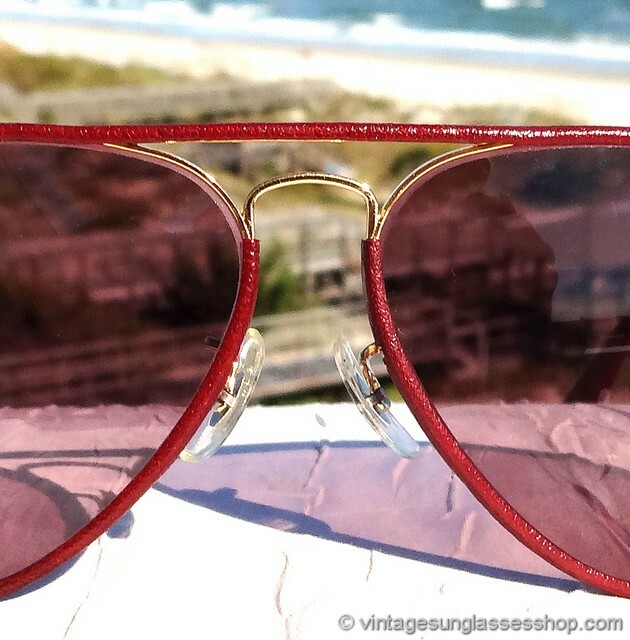 Burgundy is a tough color to find in vintage Ray-Ban Leathers sunglasses, and nothing looks better with them than B&L pink changeable photochromatic lenses. 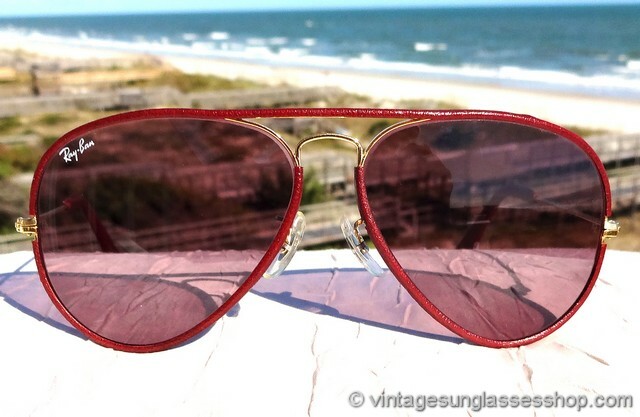 The pink photochromatic lenses will darken considerably in the sunlight to provide excellent anti-glare protection, but they'll lighten indoors to a light pink color and give you the flexibility to wear them inside, i.e. 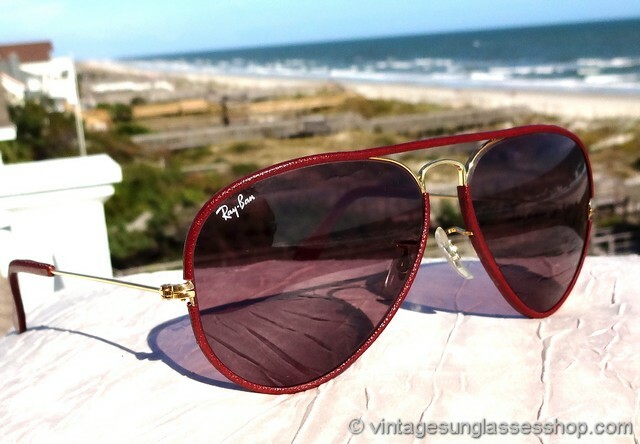 they adapt to changing light conditions. 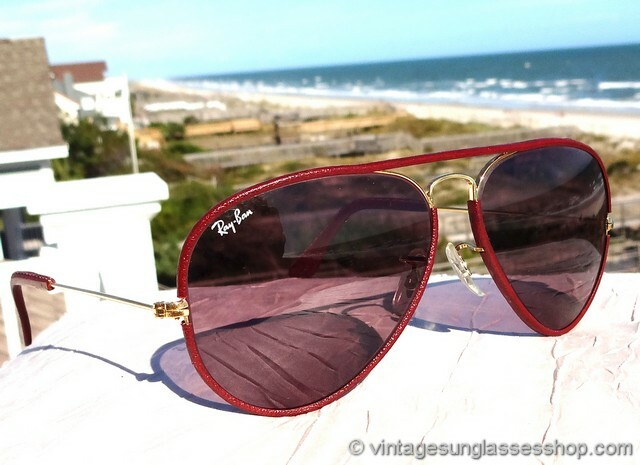 The photochromatic properties of Ray-Ban Changeables lenses are infused into the glass, not a coating that will wear off or wear out over time. 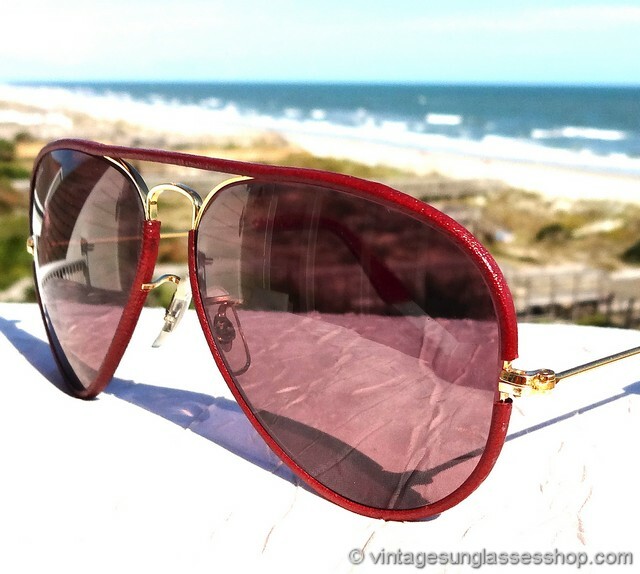 The unisex frame measures approximately 5.375" temple to temple and the pink Changeables lenses measure approximately 2.25" x 1.875" at the widest points. 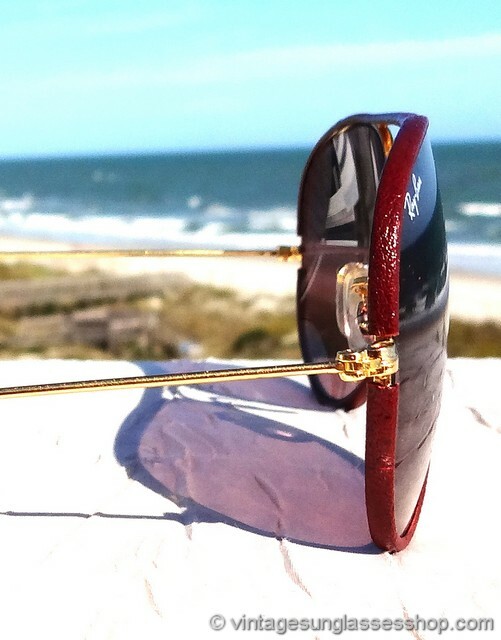 The right lens is laser etched Ray-Ban while both lenses are laser etched BL near the hinges. 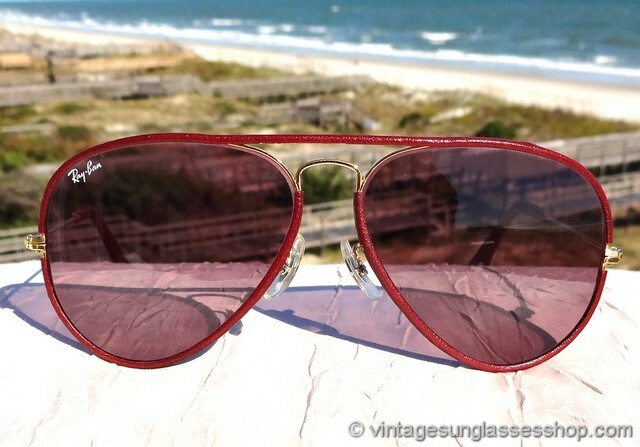 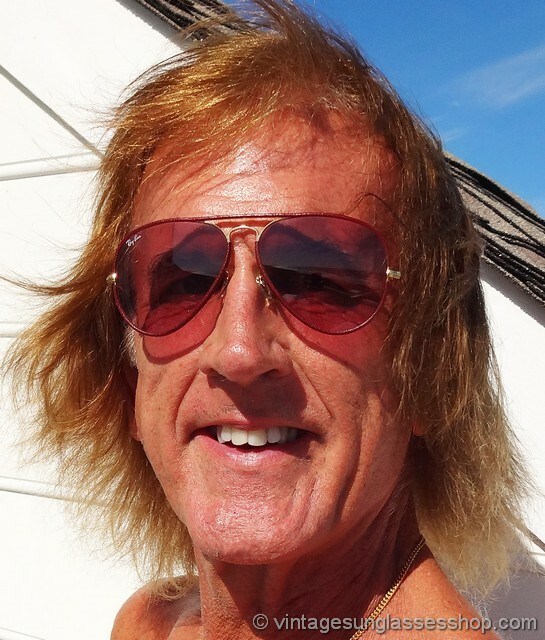 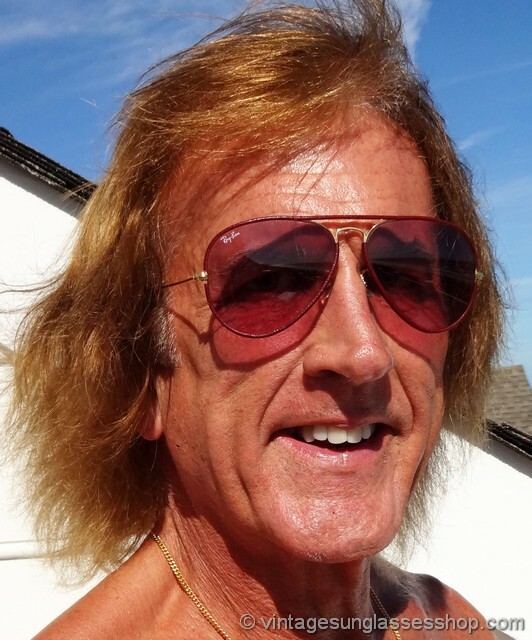 These vintage B&L Ray-Ban Leathers aviators with pink changeable photochromatic lenses are marked B&L Ray-Ban 58  14 impressed in the gold plating under the nose bridge, part of the collection of a well known Broadway stage actor and long time customer of the Vintage Sunglasses Shop. 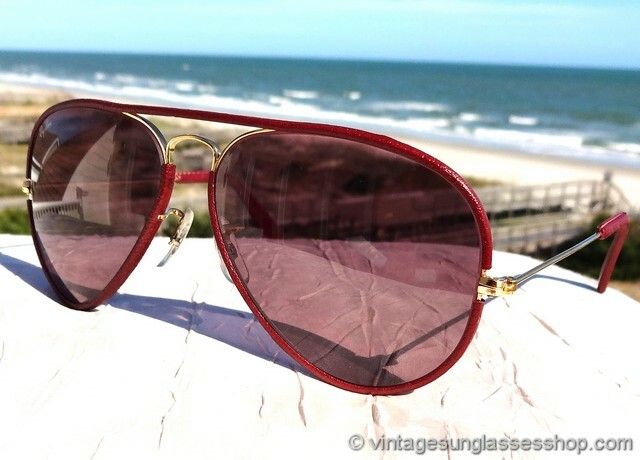 2 Step up another level beyond our already unequaled vintage condition standards with new old stock Ray-Ban Leathers Changeables sunglasses in mint, unworn condition.